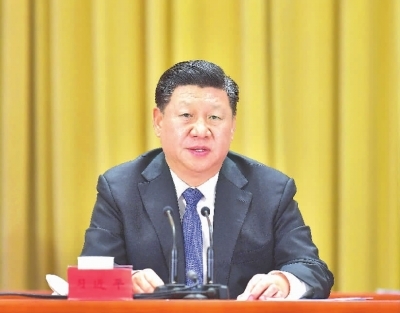 Xi Jinping says that since 1949, the Communist Party of China, the Chinese government and the Chinese people have been unwavering in their commitment to the historic task of resolving the Taiwan question to realize China's complete reunification. The president says the development of the cross-Strait relations over the past 70 years has proved that the trend of 'reunification' is unstoppable. He has stressed that achieving the country's greatness, national rejuvenation and cross-Strait reunification is the trend of history, which can never be blocked by anyone or any force. "The historical and legal facts that Taiwan is part of China and the two sides across Taiwan Strait belong to one and the same China, can never be altered by anyone or any force. The fact that compatriots across the Strait are all Chinese who share natural kinship and national identity can never be changed by anyone or any force. The peaceful and stable development of cross-Strait situations and the progress of cross-Strait relations are the tide of the time that can never be stopped by anyone or any force." President Xi says the principles of "peaceful reunification" and "one country, two systems" are the best approach to realizing national reunification. "The realization of 'one country, two systems' in Taiwan will take into full consideration the actual condition of Taiwan and take in the opinions and suggestions from all walks of life on both sides of the Taiwan Strait, and take care of the interests and sentiment of Taiwan compatriots. On the basis of ensuring China's sovereignty, security and interests of development, the social system and way of life in Taiwan will be fully respected, and the private property, religious beliefs and legitimate rights and interests of Taiwan compatriots will be fully protected after peaceful reunification is realized." The president notes that as long as the one-China principle is upheld, there will be no obstacles in exchanges between political parties and groups in Taiwan and the mainland. He has proposed that the mainland and Taiwan conduct democratic consultation on cross-Strait relations and the future of the nation. "We solemnly propose that political parties and all sectors on both sides of the Strait may recommend representatives to conduct extensive and in-depth democratic consultation on cross-Strait relations and on the future of the nation, and establish institutional arrangement for peaceful development of cross-Strait relations on the basis of the common political foundation of upholding the 1992 Consensus and opposing 'Taiwan independence'." Xi Jinping says that the Taiwan question is China's internal affairs and allows no external interference. He has stressed that the Taiwan question concerns China's core interests and the national bond of the Chinese people. He says that China's reunification does not harm any country's legitimate interests. 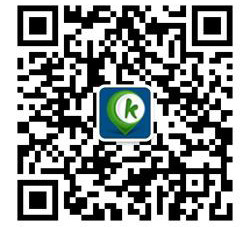 "China's reunification does not harm any country's legitimate interests, including their economic interests in Taiwan. It will only bring more development opportunities to other countries, inject more positive energy into the prosperity and stability in the Asia-Pacific region and the world, and make greater contributions to building a community with a shared future for humanity, to world peace and development, and to the cause of human progress." The Chinese leader adds Taiwan will be guaranteed lasting peace after peaceful reunification. He has pledged to further institutionalize the cross-Strait economic cooperation and to forge a cross-Strait common market. On Jan. 1, 1979, the National People's Congress Standing Committee issued the Message to Compatriots in Taiwan. It was considered a declaration of the mainland's policy for peaceful reunification. For CRI, I am Zhou Fang.